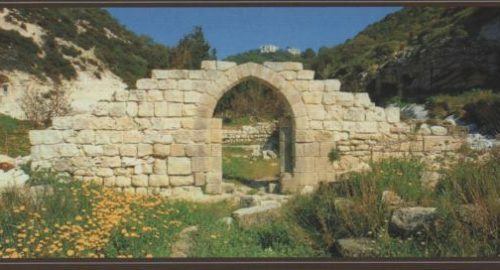 The roots of the Carmelite family go back to about 1209 when a group of hermits came together on the slopes of Mount Carmel in the Holy Land. They were inspired by the prophet Elijah and called the Brothers of ‘St. Mary of Mount Carmel’. They were given a ‘Rule of life’ by St. Albert, the Patriarch of Jerusalem, outlining a simple lifestyle of prayer, solitude, work and community life which still inspires the Carmelite spirit in our own day. St. Teresa, going back to the roots of Carmel, provided a similar lifestyle for her nuns, adapted to life in the Spain of her day. Instead of individual hermitages each sister has a monastic cell – her own room. 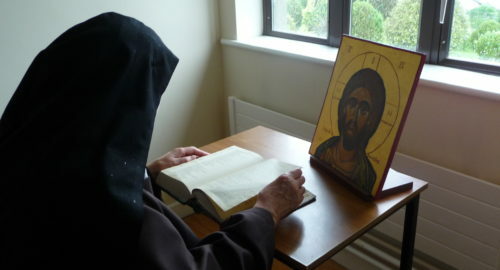 Apart from time spent with the community in prayer, shared meals, recreation or working elsewhere in the monastery, a Carmelite returns to her cell as to a spring of living water. Everything in our lives revolves around that and we make, and limit, our choices accordingly. In case of misunderstanding, cloistered nuns do not have the monopoly of contemplation in the Church! Yet the Church continues to confirm the Lord’s call to some of her children to keep watch in prayer.